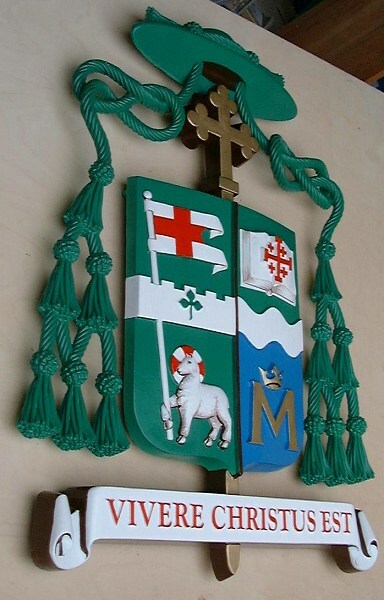 Coat of arms of the Bishop of Paterson, USA. At Bryan Rawlings Design, we make three-dimensional coats of arms, crests, emblems, insignia, military badges, trademarks and company logos. 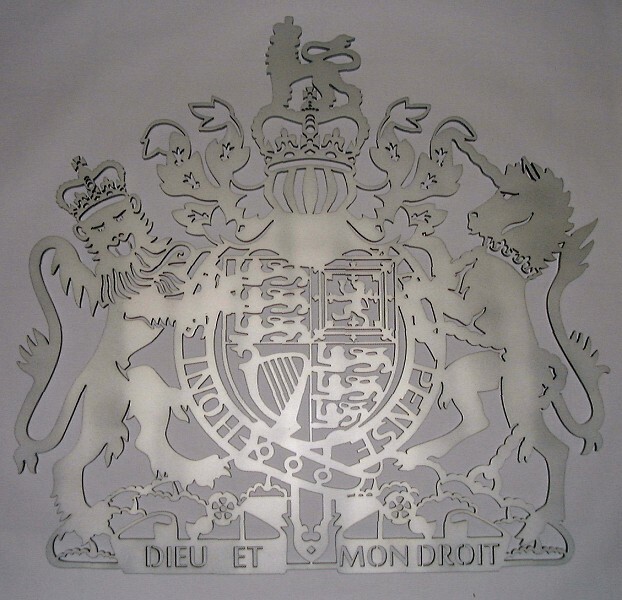 These architectural heraldic devices are modelled or carved in sculptural relief and reproduced in glass fibre, reinforced resin or cast resins. The sizes we produce range from a few centimetres to several metres. The finished plaques are suitable for interior or exterior use. 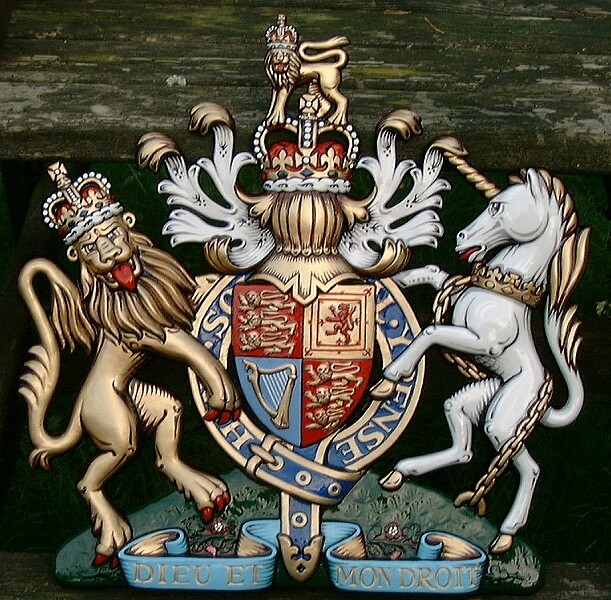 We create heraldry for many applications including national and civic, academic and military, corporate, and private bespoke commissions, in the UK and overseas. 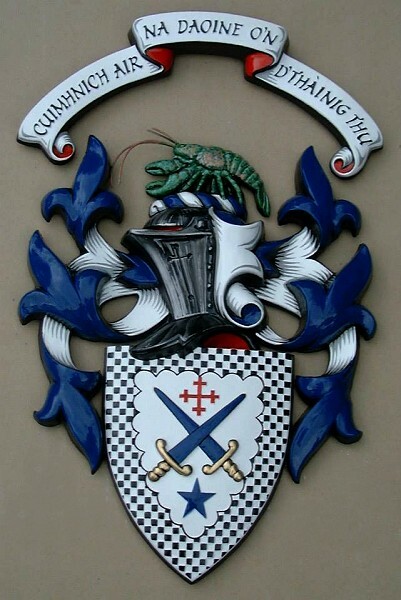 Collier coat of arms. Private commission for Mr Collier. 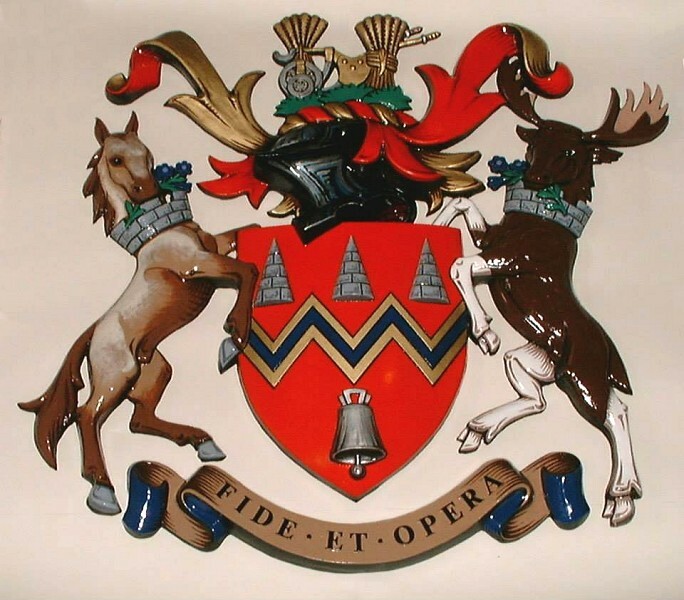 Bartlett coat of arms. Private commission, USA. 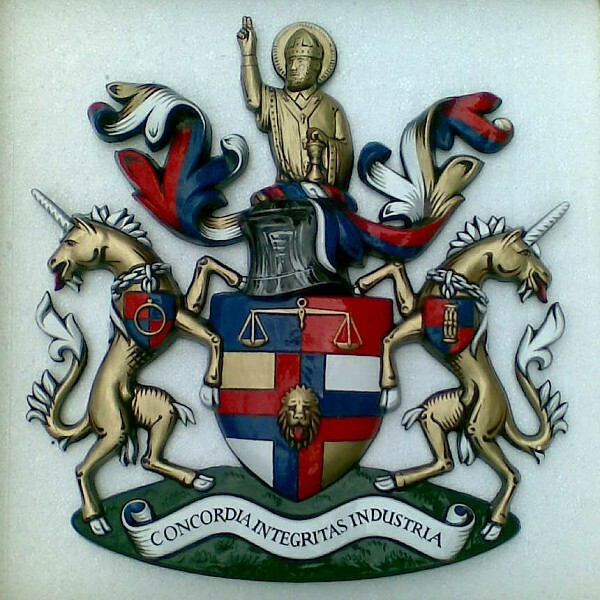 Worshipful Company of Girdlers coat of arms. 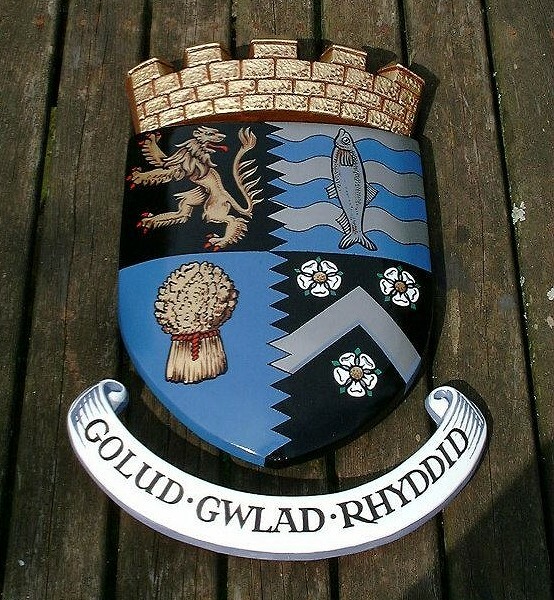 Our heraldic design service involves interpreting crests or coats of arms of local authorities for town or county signage, or civic headquarters buildings. 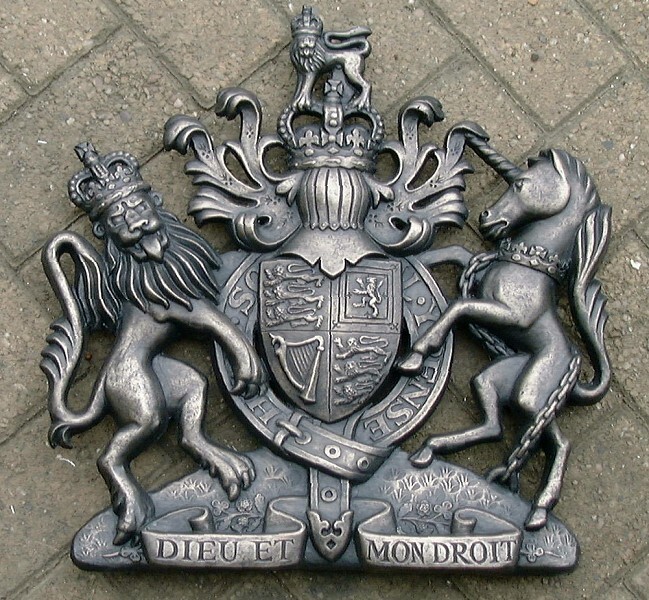 We also create national and royal coats of arms for countries throughout the world. 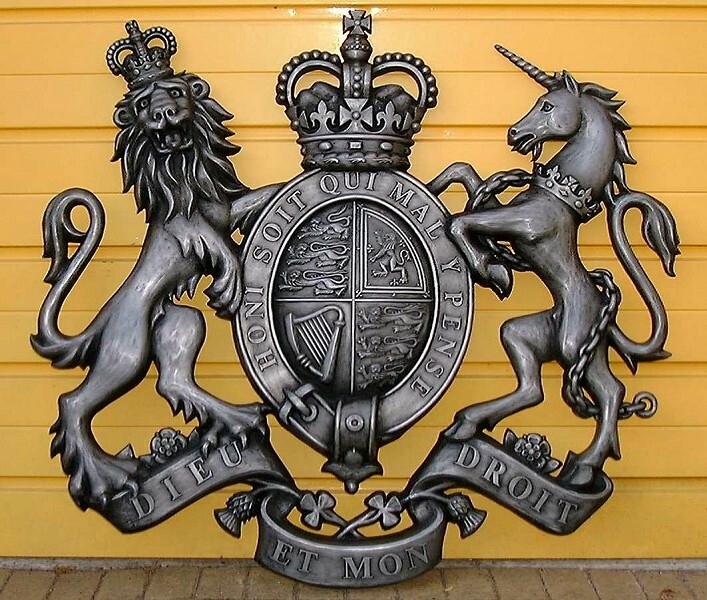 • British royal coats of arms. 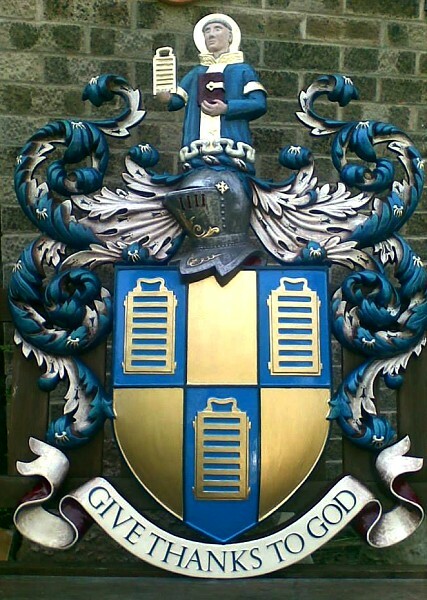 • Civic coats of arms. • Royal crests and insignia. • Crown and magistrates court furnishing. 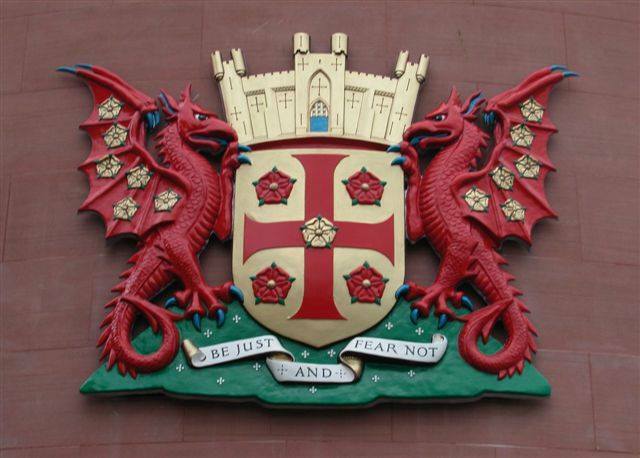 • Local authorities heraldic design. 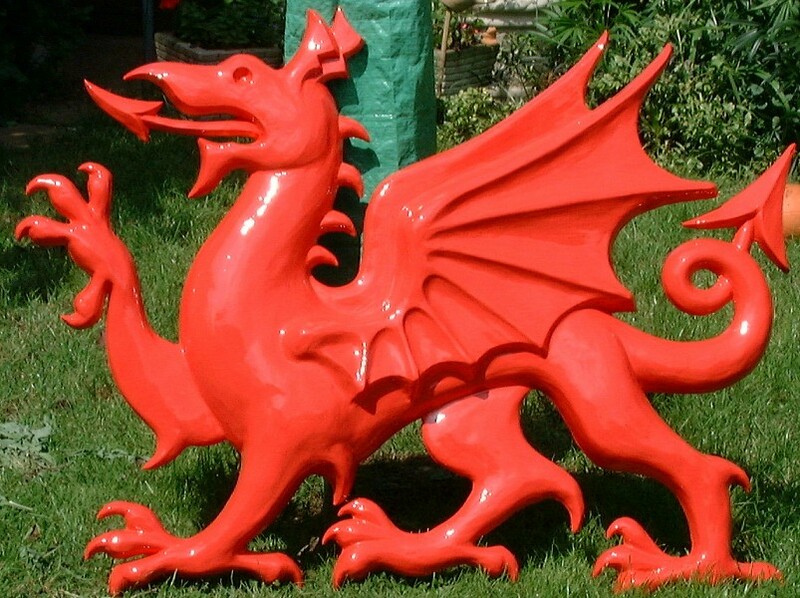 Materials used in creating Bryan Rawlings designs include glassfibre reinforced plastics (GRP), glassfibre reinforced polyester resin, cold cast metal, bronze, aluminium, copper, stainless steel and gold leaf. 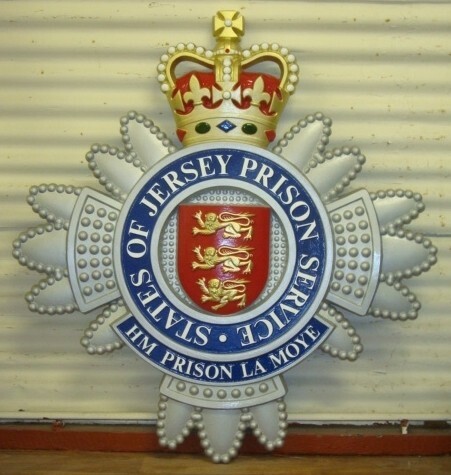 HM Prison La Moye emblem, Jersey. Cold cast 18 inch British royal coat of arms with helmet and mantling. 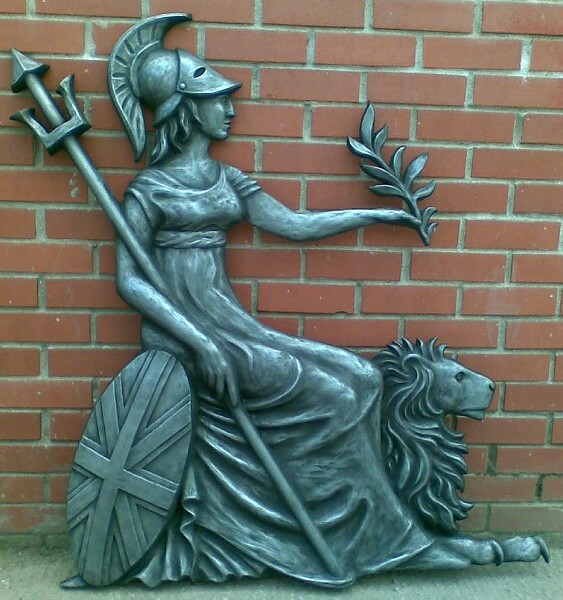 We supply them for Crown Courts, Magistrates Courts, HM Prisons, HM Customs & Excise and British Embassies, in hand painted or cold cast metallic finishes, or bright 'Direct Chrome'. 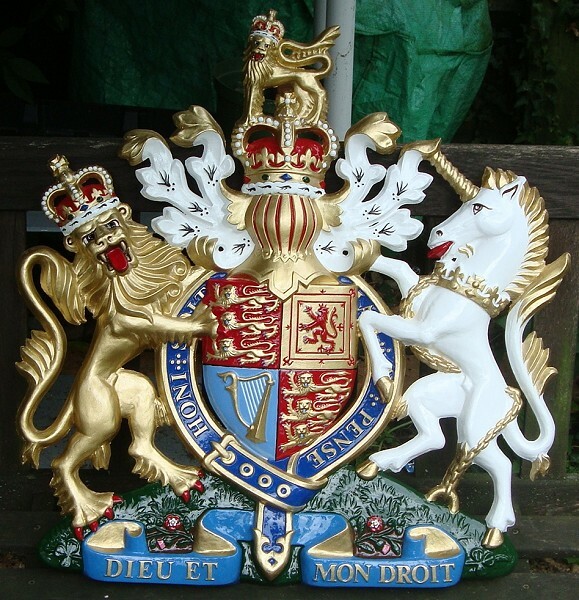 The Royal Coats of Arms page contains prices, sizes, images and further details of our British royal coats of arms. 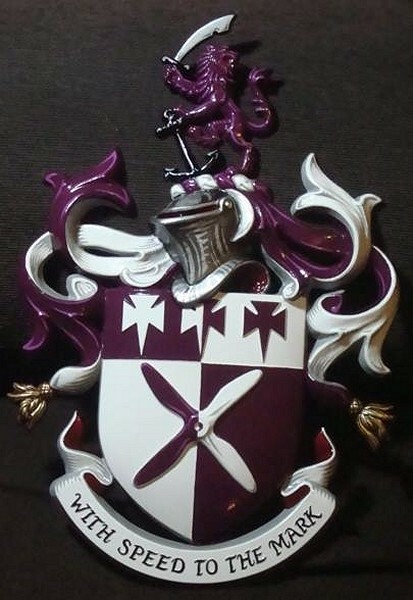 Coat of arms with helmet & mantling, special hand-painted, 18 inches. 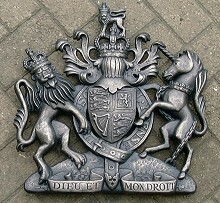 Coat of arms without helmet & mantling, cold cast metal effect, 46 inches. Coat of arms with helmet & mantling, standard hand-painted, 22 inches. Coat of arms with helmet & mantling, cut-out stainless steel. 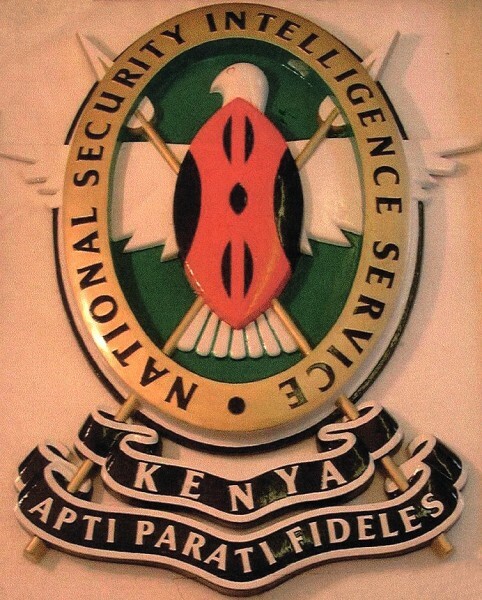 A hand-painted relief sculpture of the National Association of Jewellers crest, measuring 450mm high by 450mm wide. Price: POA. Order code: G001. 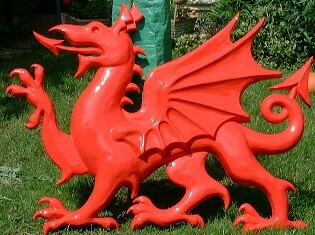 A relief sculpture of the national heraldic Red Dragon of Wales (Draig Cymraeg), measuring 1000mm high by 1300mm wide. Price: £600. Order code: D001. A figure of Britannia, the traditional British symbol. Available in cold-cast bronze or aluminum finish, measuring 1200mm high. Price: £995. Order code: B001. If you want to know the difference between 'couchant' and 'sejant', or ever wondered what an 'opinicus' is, visit our Heraldic Glossary page to find the answers.